We are offering Four Bar Rotary Cutting & Creasing Machine that is used for creasing and cutting corrugated board simultaneously. Known for high efficiency and reliability, our Four Bar Rotary Cutting & Creasing Machine is fabricated using high grade components and sophisticated technology. 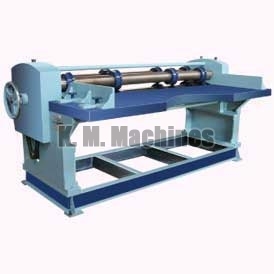 The machine is provided with two side gauges for ensuring précised cutting and creasing of boards. Speed of our Four Bar Rotary Cutting & Creasing Machine is 300 ft. per minute.